This stylish Capitol Hill Middle Eastern joint is serving up Persian brunch-appropriate dishes like sobhaneh (a Persian breakfast plate) and nargesi with taftoon bread (caramelized onions, spinach, and eggs). Priced a la carte, but best enjoyed family style. Reservations available here. A hipper vibe for Easter brunch than most, this Capitol Hill bar is hosting a reservation-only, limited-seating meal from 11 a.m. to 3 p.m. for just $35 per person. Menu includes tres leches bread pudding French toast (omg) fresh fruit, coffee and bottomless guava mimosas. Reservations available here. 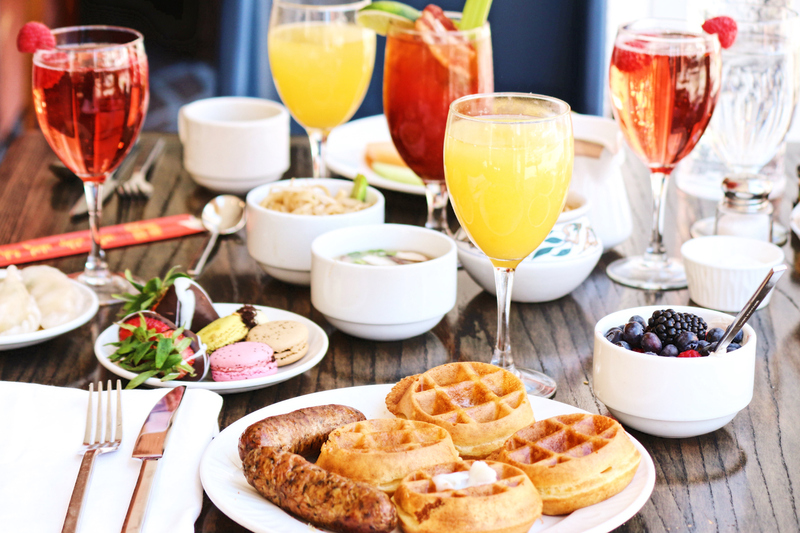 Dine on Lake Washington’s shore at this Hyatt Regency restaurant, which is hosting Easter brunch buffet for $55 per adult or $25 per child from 10 a.m. to 2:30 p.m., including two-hour valet parking. Pile plates with crab legs, NY strip loin, eggs Benedict, an assortment of hot and cold dishes—save room for dessert.Bottomless mimosas are $10 extra (and worth it). Reservations available here. Sunday brunches are always off the hook at Hotel Sorrento’s Dunbar Room, but this one is sure to be particularly impressive. The buffet includes Belgian waffles, caramel-glazed ham, made-to-order omelets and more, all $34 per adult and $15 per child. Though it starts at 8 a.m., only later reservations are available here. This luxe rooftop happy hour spot is hosting a $49 Easter buffet (plus $10 for bottomless mimosas) from 8 a.m. to 3 p.m. The menu is higher brow than some other spots: It starts with fresh PNW oysters and smoked seafood and ends with lavender panna cotta. Reservations available here. While it’s not specifically Easter themed, this spacious downtown restaurant just launched brunch, making this a perfect opportunity to check out something new. You’ll find traditional options like buttermilk pancakes, but opt for chef Varin Keokitvon’s more unique choices like ginger congee with Chinese sausage, all priced a la carte. Reservations are available here. Treat yo’ self (and your family) to an a la carte brunch at this splurge-worthy Ballard spot. The menu is a knockout, with the likes of truffle deviled eggs, white bean cassoulet, and a $22-plate of biscuits and gravy we’re sure is worth every penny. Reservations available here. This Belltown favorite will have both a la carte brunch and dinner available on Easter—for the former, look for a tongue-in-cheek rabbit sausage biscuit sandwich and honey ham eggs Benedict, plus thematic desserts like carrot cake and hot crossed buns. Reservations available here.